It all started because the garage wasn’t big enough. When we planned to buy our house, I was looking forward to having the two-car garage as it could function as a dedicated work area. However, the garage was not deep enough for that. After the cars were parked there was barely enough room to walk around them, let alone have space to set up and store my power tools. We’ve lived here for more than three months now and have not used the living/dining room space for anything more than keeping a dehumidifier in it. One night I mentioned the idea of ripping out the carpet in there and turning it into a workshop, and Jen just ran with it. She even thought it was her idea (it wasn’t). It was a perfect solution to one of the issues we have in this house and all of the carpet will be replaced with other surfaces anyways as we remodel. So on one of my days off, we finally pulled the trigger. 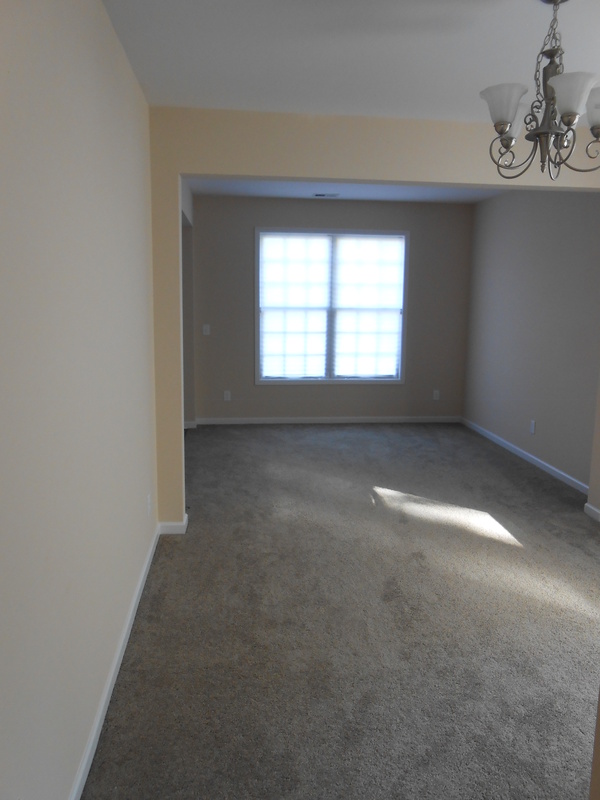 The carpet came up easily, and I tossed it into one of the bedrooms we use for storage. The super-crappy carpet pad just tore apart and luckily, the construction crew who built our house didn’t use much adhesive. It took some time to pull up all the tack strips and rivets out of the concrete. I used my Bosch tool’s rigid scraper attachment to remove the adhesive off the floor. 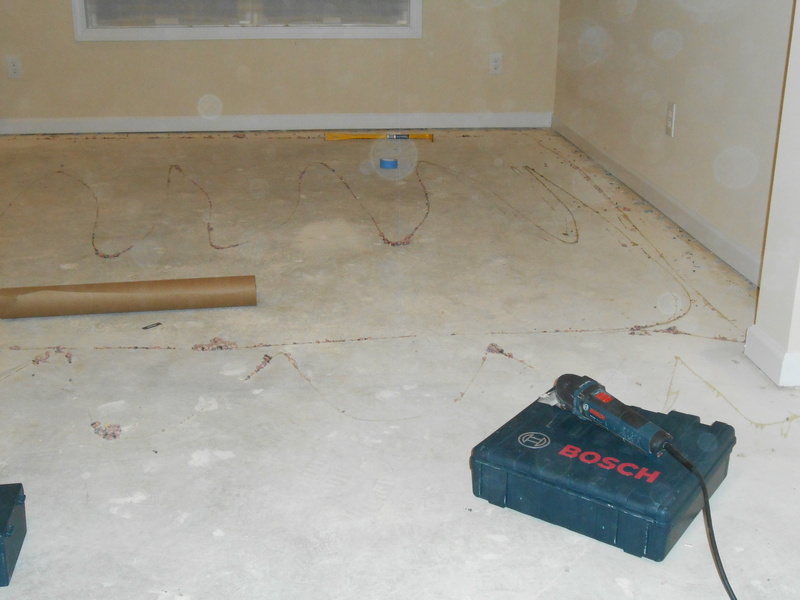 This is part of the process you would do to prepare the floor to add another surface or substrate – as we will be adding a treatment to the floor down the line. Not sure yet – either paint or concrete stain to make clean-up faster after working on projects. I’ll also have to patch up the concrete from the holes left behind from the rivets. 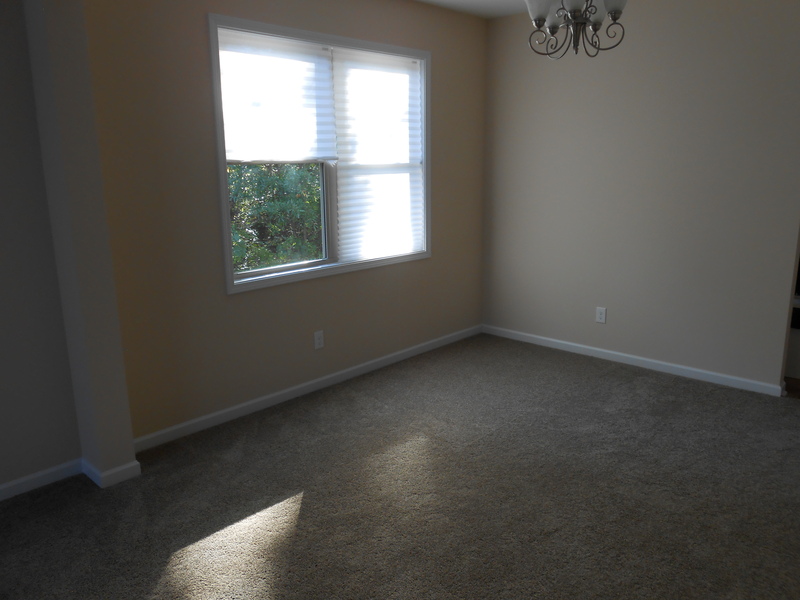 You might be thinking – don’t these people need a dining room? Not currently. Our plan is to build custom cabinetry and furniture for the rest of the house out of this room. We also plan to renovate room by room, with this one being last. I did build a 42-inch bar table for our breakfast nook so we have a place to eat. For now, this is the best solution for me having a workshop. More to come as I continue to customize this space.